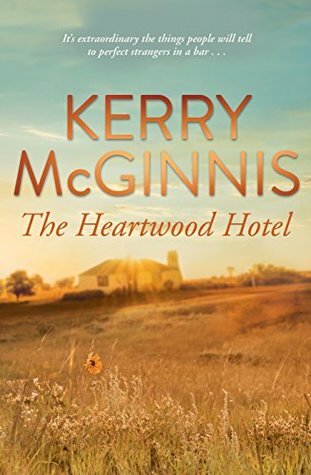 In the abandoned railhead town of Tewinga, now almost a ghost town, Lyn and Adam Portman struggle to keep the Heartwood Hotel afloat. Lyn loves her husband and longs to be a mother. But she’s kept busy caring for her elderly father, her community, and Max, the young worker who reminds her of the brother she’s lost and dearly misses. When he fails to return from a day trip, Lyn’s concern deepens as the length of his absence grows, the more so with rumours of criminal activity at a nearby station. Meanwhile, a chance meeting uncovers a family bombshell that leaves Lyn reeling. The community must pull together as never before, proving that sometimes the smallest towns have the biggest hearts – and hide the darkest secrets. From the bestselling author of Secrets of the Springs, this is the new outback mystery from Australia’s authentic rural writer and beloved voice of the bush. Lyn Portman and her husband Adam had returned to the small Queensland outback town of Tewinga, where Heartwood Hotel reigned supreme over the area, and where Lyn’s dad, Tiger was still living. He needed care though after his beloved wife, and Lyn’s mother had passed away. Lyn knew she and Adam were needed in the district. The arrival of Max, a backpacker from Adelaide on his gap year before starting uni and his serious law degree was a boon for them, as he was a hard worker and friendly – they would be sorry when he moved on. The day after the rodeo, Max headed off on his bike for a little R & R – he told Lyn and Tiger he would be back the next day. But Max didn’t return. Lyn’s mild concerns became serious worry although the police weren’t taking her seriously. But with the rumour of drugs and criminals in the area, Lyn called Max’s parents – but would it be too late? Max was nowhere to be found and with the days that had passed, the chance of finding him alive became more remote. This entry was posted in Book supplied by publisher or author for review, Guest Reviewer, Post Script: Book Reviews, Rural Fiction and tagged 5 star read, Australian Women Writers, AWW, country, Queensland. Bookmark the permalink.